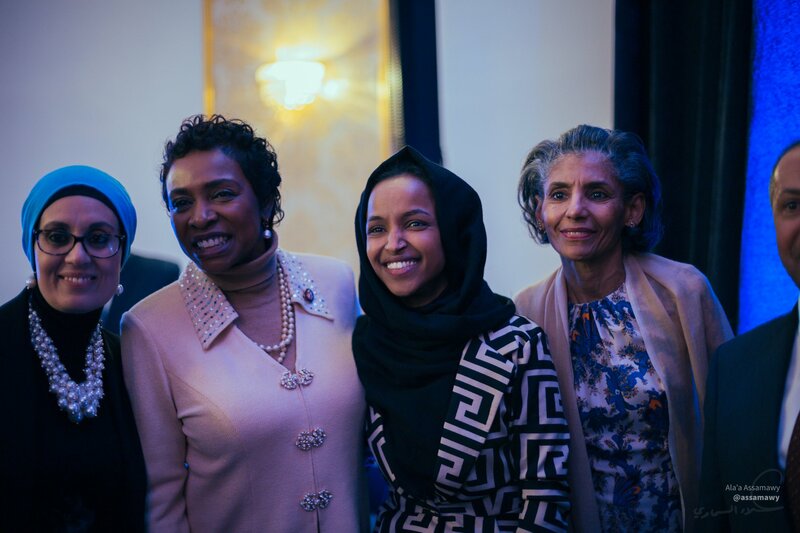 SUNSET PARK – America’s first hijab-wearing Congresswoman Ilhan Omar was the keynote speaker at the first annual Yemeni American Merchants Association (YAMA) Gala on Saturday, February 2. 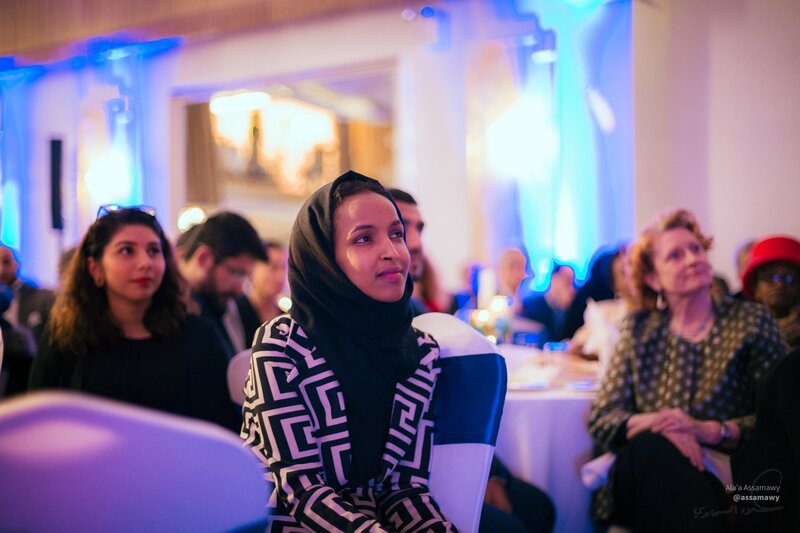 She spoke of not giving up, the Muslim Ban, and what it means to be one of first two Muslim women in Congress. Also in attendance at Widdi Hall were a total of 30 elected officials including Borough President Eric Adams, State Senator Andrew Gounardes, NYC First Lady Chirlane McCray, District Attorney Eric Gonzalez, Council Member Helen Rosenthal, Congresswoman Yvette Clarke (and Una Clarke), Council Member Jumaane Williams, and Assembly Member Robert Carroll. Council Member Carlos Menchaca and Congresswoman Nydia Velazquez didn’t stay for long, as they said their hellos and left for the Metropolitan Detention Center where inmates were without power and heat. 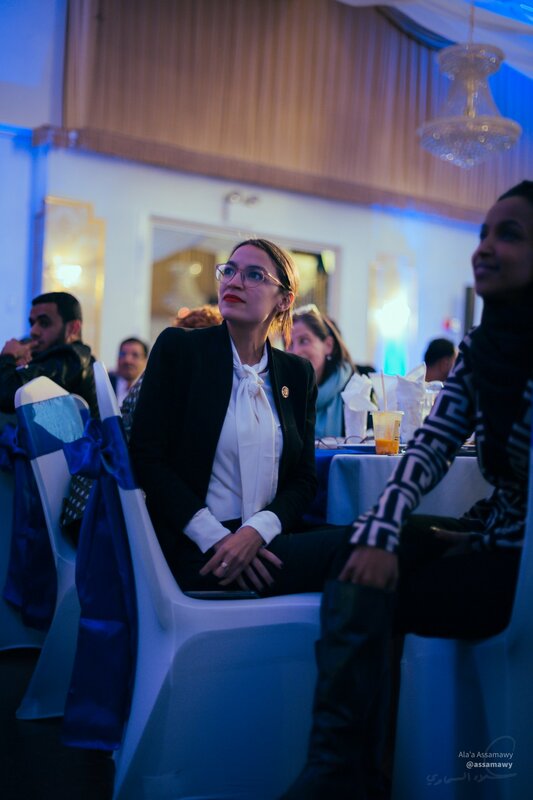 And also in attendance was Congresswoman Alexandria Ocasio-Cortez, there to cheer on her colleague and friend. Omar came to America 23 years ago from a refugee camp in Somalia. She thought America was a prosperous, equitable country that afforded equal justice to everyone. But when she came here, she saw something different. She said she remembers driving through Manhattan and seeing homeless people on the street. She turned to her dad and said, “This does not look like the America you promised,” she recalled. Her dad told her she’s never patient; it’ll eventually come, he had said. Omar received a standing ovation and tons of applause. She credited educator and community activist Debbie Almontaser for believing in her. The 37-year-old congresswoman told the story of her grandfather who used to invite panhandlers inside his home to eat lunch with them. Omar said she was always confused about that as a kid because no one ever talked about inviting homeless people inside your homes. 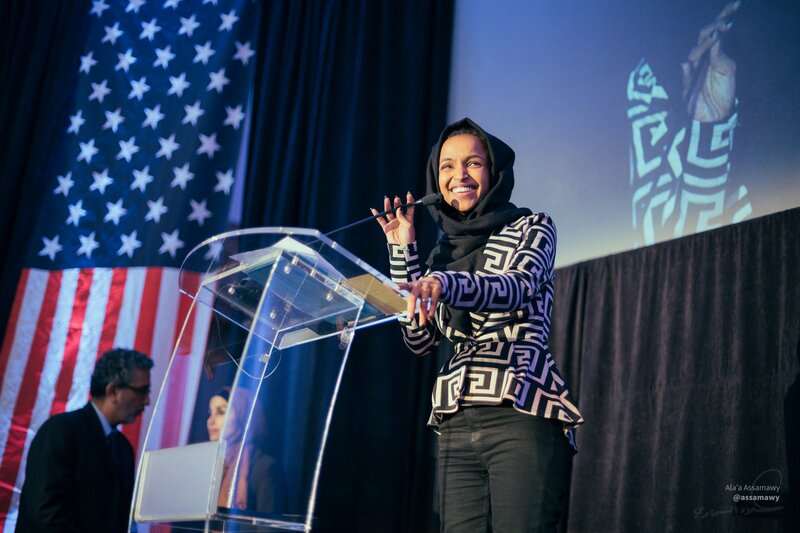 Congresswomen Omar and Rashida Tlaib of Michigan have both received backlash over their views on Israel. Omar said she has had enough. She said she and Tlaib are excited to stir up trouble, excited to shape the narrative of Muslims in America. So, “don’t worry about us,” she said. 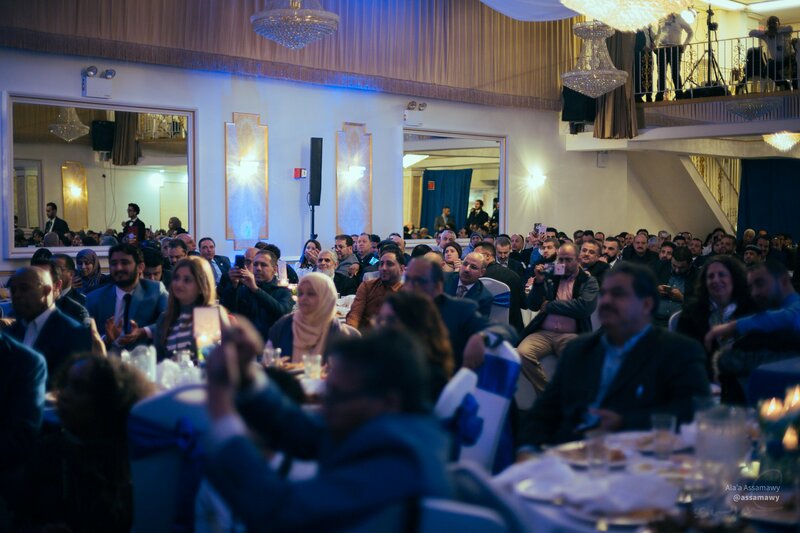 She spoke about the importance of voting and of motivating Muslim candidates to run for office. 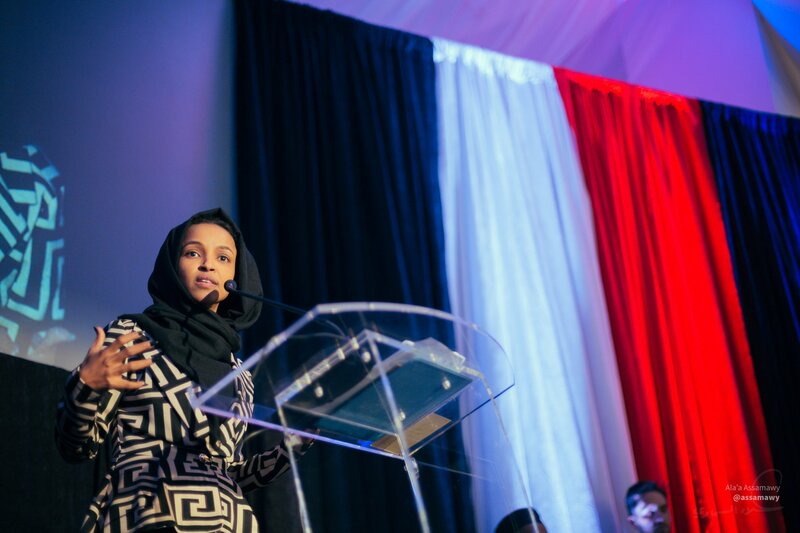 She urged everyone in the room to have “internal liberation,” because that is important in order to have Muslim voices heard. What a bunch of lying low lifes you are. There is no “Muslim ban” and never has been one. And the Supreme Court says the same. Liars. This article is amazing. We need to end religious discrimination. Enough to is enough it time for change. I want to congratulate you for writing this marvelous article.